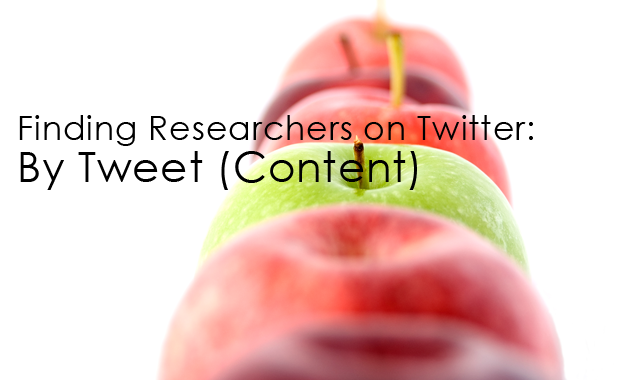 I’ve covered finding researchers by their Twitter Profile, Finding Researchers on Twitter: By Profile, so it’s time to look at finding tweets (and therefore people tweeting) by the content they share (tweet) and how to set up alerts for tweets. Are they only retweeting others? Are they retweeting links to other peoples content only? Do they have interactions and discussions with other tweeters (more likely to be a ‘real’ person)? 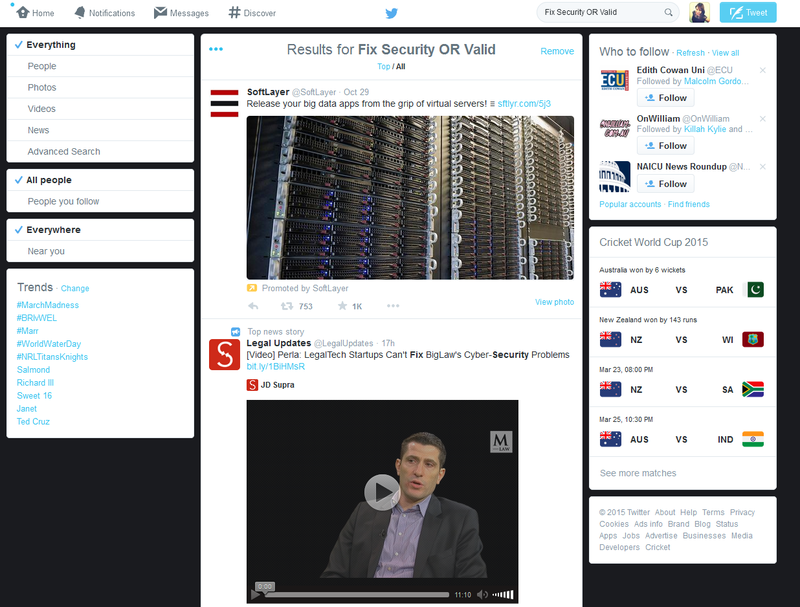 Is the content they tweet, in terms of their stream of tweets, completely relevant? Plus it can be handy to set up notifications things as they arise, rather than having to manually search for them each time. Where you plan to be a little more ad hoc in your searches for content (when you have the time and inclination). So you want to set up and save a search, then be able to check on the results periodically (as opposed to receiving a weekly/daily email alert). Saving the search means you don’t have to remember all the operators you put in to filter your results and reduce the garbage in on it. Plus the results are real-time and waiting to be retrieved whenever you have the inclination. You can save up to 25 searches on your Twitter Profile, if you plan to periodically check in on search results for specific terms then it’s worth making use of Twitter’s Advanced Search Operators, tp weed out as much irrelevant terms you can from search results and then save the search. If you want to be more systematic and/or you want to be alerted on a daily, weekly or as it happens basis that content is being tweeted, then you will want to set up an alert. This removes the requirement to manually check your saved searches and reduces the risk that you miss good content that was posted between your checking points. 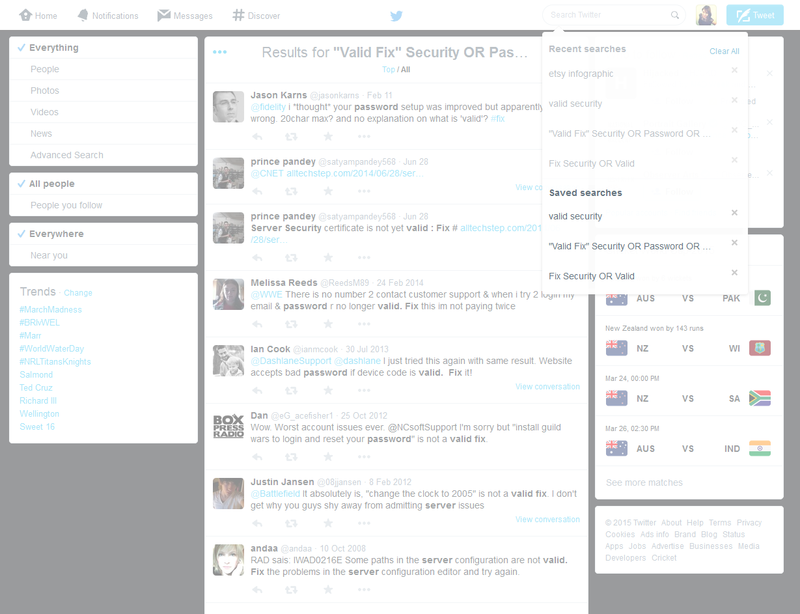 Unfortunately there have been several changes to Twitter’s API that have meant many alert services don’t work anymore. The best I have found is Twilert, but that is now a paid only service, it has been impacted by some recent changes by Twitter (mainly to do with locations) so I am reviewing other options. 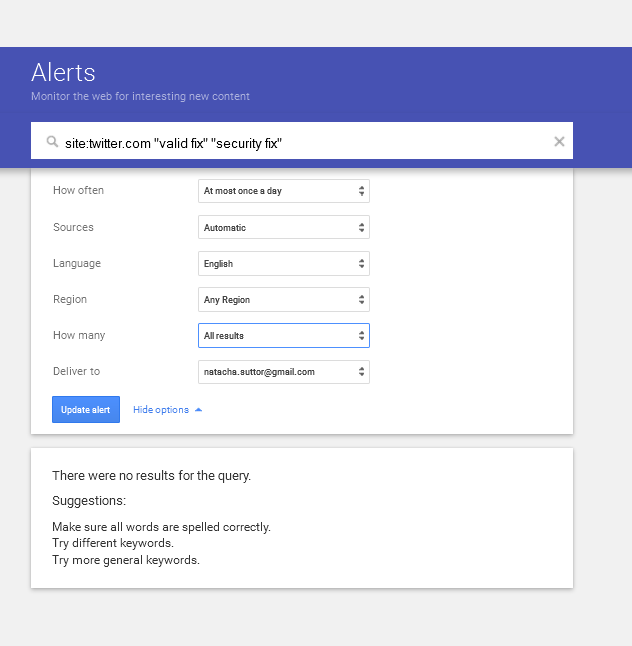 You could set up a google alert, which has the power of all Google’s search operators, to search Twitter making sure to only retrieve URLs that have “status” in them: since those will be tweets. I can choose that alert to be a summary sent to me daily or weekly, or as it happens. 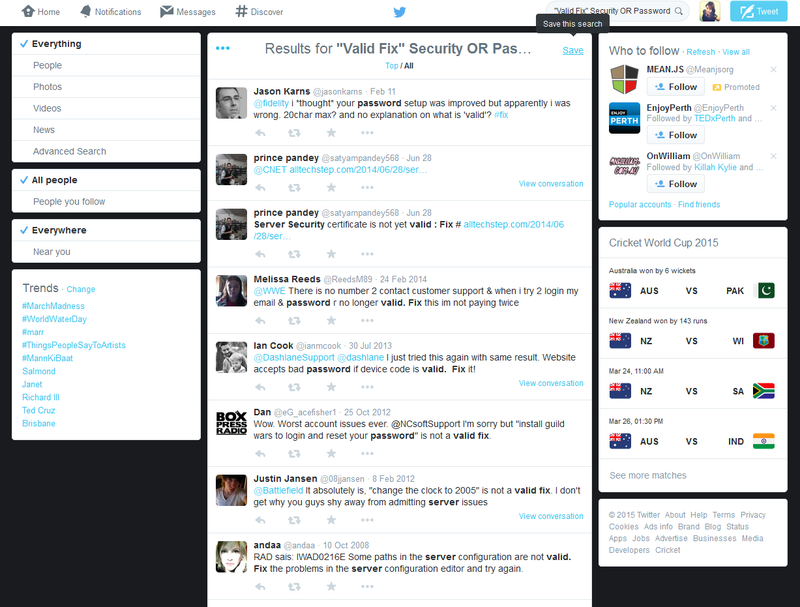 I can also refine the types of sites in alerts (not much use given I am limiting this alert to a specific site). I can also choose to receive only the best results (according to Google’s algorithms) or all results. 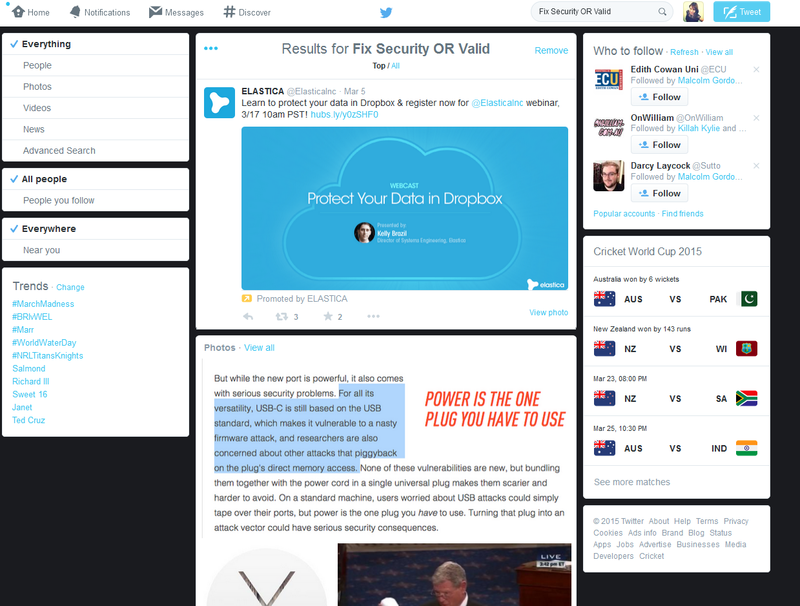 And I can limit to tweets from a particular location or language. 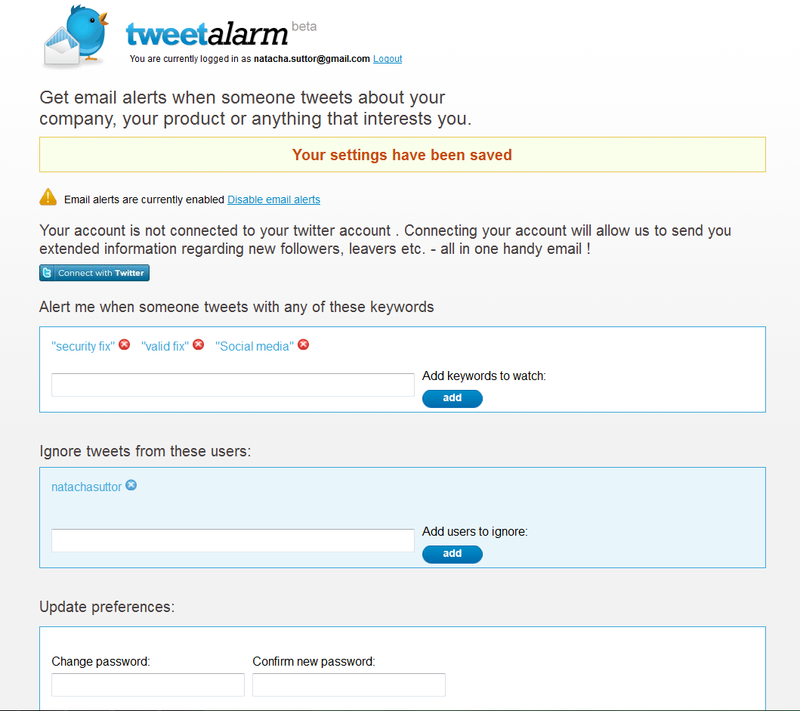 I’ve set a Tweet Alarm to see how it compares to Twilert for a basic alert. It’s pretty basic in that you will get one alert for the terms you enter (it can be useful to have similar terms in one alert, but this won’t be meaningful or easy to use if you have multiple categories). 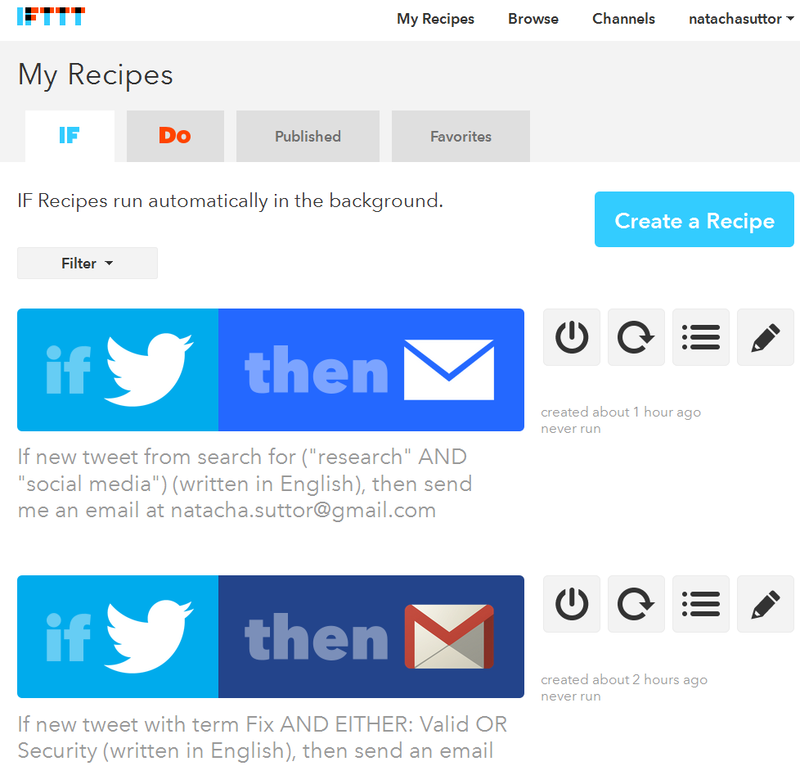 I’ve been playing with IFTTT (If This Then That) to set up emails and email digests of tweets. Not having any joy activating them or seeing results, but will keep you posted. IFTTT uses Twitters search operators, so if I can get IFTTT to work it could be the closest approximation to Twilert’s paid service while also being more customisable than a Google Alert.